Yesterday, we posted about some trademarks Level-5 had registered. Interestingly, one of these was for something called ‘Lady Layton’. And now we know what it is! 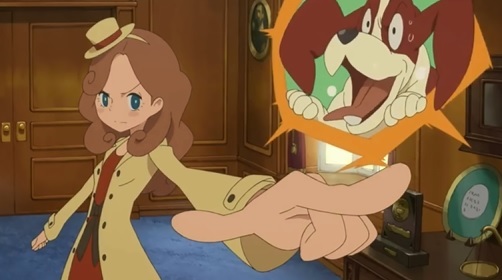 Turns out that Lady Layton is a sequel series to the Professor Layton games. Starring Layton’s daughter Catoleil and set in the far future, it promises to introduce a new cast of friends and foes in another set of puzzle adventure games! As you can see, it’s pretty much what you’d expect. New puzzles, a London setting, a talking basset hound… okay, maybe that last one is new. But yeah, seems like the game Layton fans were after. Lady Layton is being released in Japan in Spring 2017. I've never play a Professor Layton game, but I want to. Maybe I'll try this? I don't know. Final Professor Layton game announced for 3DS!